If you are planning to do your Mountain Skills Assessment or just wish to brush up on skills learnt on Mountain Skills 1 and 2, then this is the perfect wo day refresher course for you. 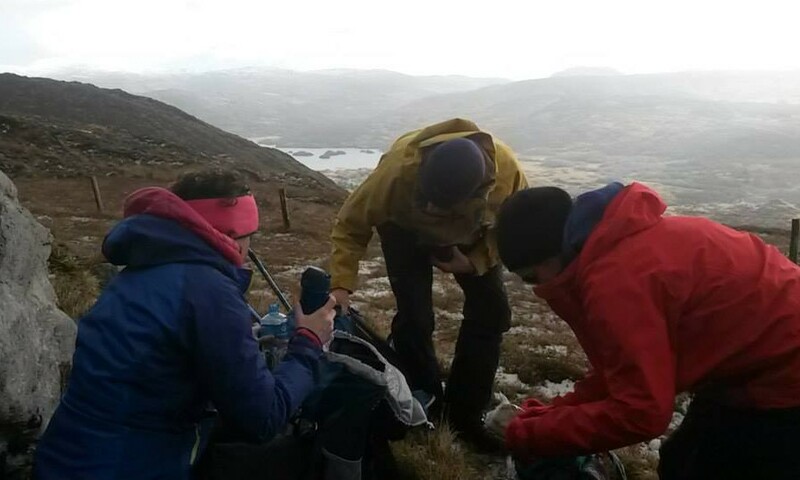 What topics will be covered on the Mountain Skills Refresher Course? 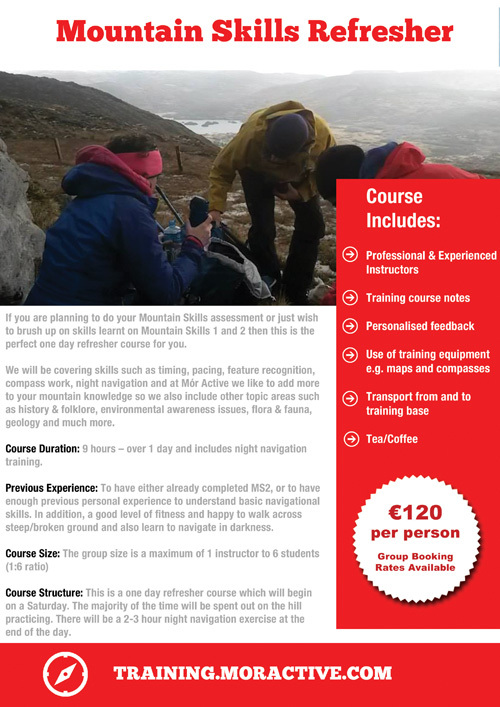 If you are planning to do your Mountain Skills Assessment or just wish to brush up on skills learnt on Mountain Skills 1 and 2 then this is the perfect two day refresher course for you. 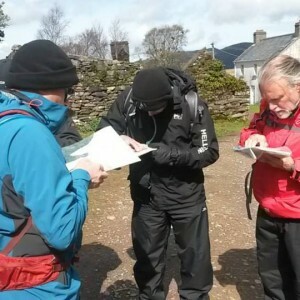 We will be covering skills such as timing, pacing, feature recognition, compass work, night navigation and at Mór Active we like to add more to your mountain knowledge so we also include other topic areas such as history & folklore, environmental awareness issues, flora & fauna, geology and much more. 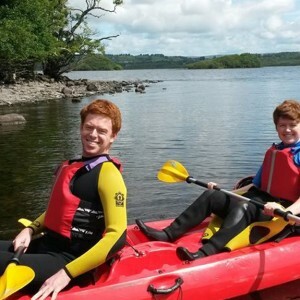 Previous Experience: To have either already completed Mountain Skills 2, or to have enough previous personal experience to understand basic navigational skills. In addition, a good level of fitness and happy to walk across steep/broken ground and also learn to navigate in darkness. 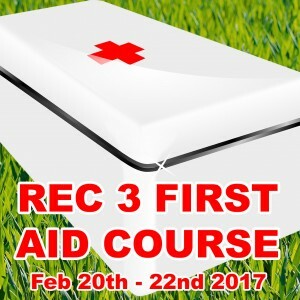 Course Structure: This is a two day refresher course which will begin on a Saturday and finish on a Sunday. The majority of the time will be spent out on the hill practicing. There will be a 2-3 hour night navigation exercise at the end of the day.